Jan Brett, the beloved author and illustrator, has written some truly remarkable stories. 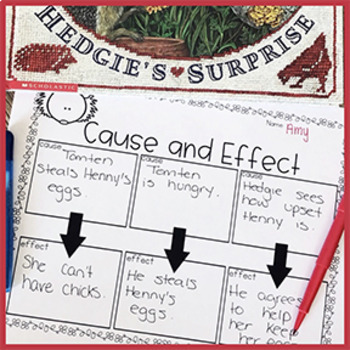 Her book Hedgie's Surprise is no exception when it comes to engaging students. 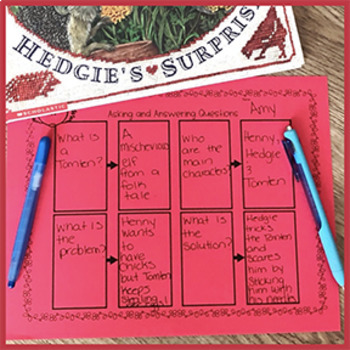 Perfect for comparing and contrasting with other Hedgie books like Hedgie Blasts Off The Hat and The Snowy Nap ! This unit is print and teach and standards aligned. 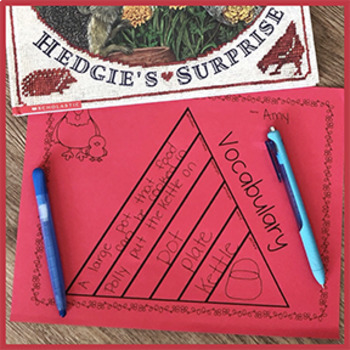 Text dependent questions, graphic organizers and more printables are included for the busy teacher. Easy for both student and teacher to use! Does not include the book Hedgie's Surprise. Be sure to follow my TpT to receive notifications of new products and upcoming sales. Copyright © Amy Labrasciano. All rights reserved by author. This product is to be used by the original downloader only. Copying for more than one teacher, classroom, department, school, or school system is prohibited. This product may not be distributed or displayed digitally for public view. Failure to comply is a copyright infringement and a violation of the Digital Millennium Copyright Act (DMCA). Clipart and elements found in this PDF are copyrighted and cannot be extracted and used outside of this file without permission or license. Intended for classroom and personal use ONLY.